First Jermaine Dupri launched the Procter & Gamble sponsored Tag Records, an exclusive alignment with Island Def Jam Records, to revolutionize how new artists are marketed and promoted. Well, Mountain Dew has decided to get in on the marketing scheme of branding through the universal medium of music. Ad Age reports that Mountain Dew is launching an imprint, Green Label Sound, dedicated to soley delivering digital singles. How dope is that? The label enters in partnership agreements with budding artists (the first of which is the midwest hipster rap duo, The Cool Kids) to connect them with a marketing reach that they would never be able to achieve through a traditional recording agreement. In addition, the singles will be exclusives that are free to the public, effectively serving as a 100% promotional push. 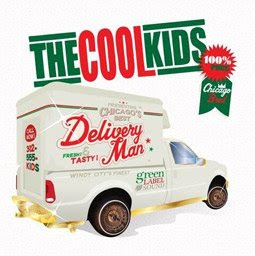 Check out the Cool Kids' Mountain Dew single, The Delivery Man, below and head over to Green Label Sound to download the track.